If you're planning a trip from Milan to Paris but are having some trouble deciding whether to travel by train, plane or car, you've come to the right place. Read on for our tips on the best ways to get from one point to another. We'll help you weigh all the pros and cons of each form of transportation for this particular route. What's the Distance You'll Cover? Milan is a little under 400 miles from Paris, which means that most people will opt to fly. This is certainly the most time-efficient method of traveling between the two major cities. However, if you can afford a bit of extra time, taking the train or renting a car to travel this route can offer a more picturesque, and potentially more relaxing and enjoyable, way of getting to the French capital. International carriers including Alitalia and Air France and low-cost regional companies such as Easyjet and Ryanair offer daily flights from Milan to Paris, arriving at Roissy-Charles de Gaulle Airport and Orly Airport. Flights to Beauvais Airport located in the far outskirts of Paris (including some Ryanair flights) tend to be a cheaper option, but you'll need to plan on at least an extra hour and fifteen minutes to get to central Paris. 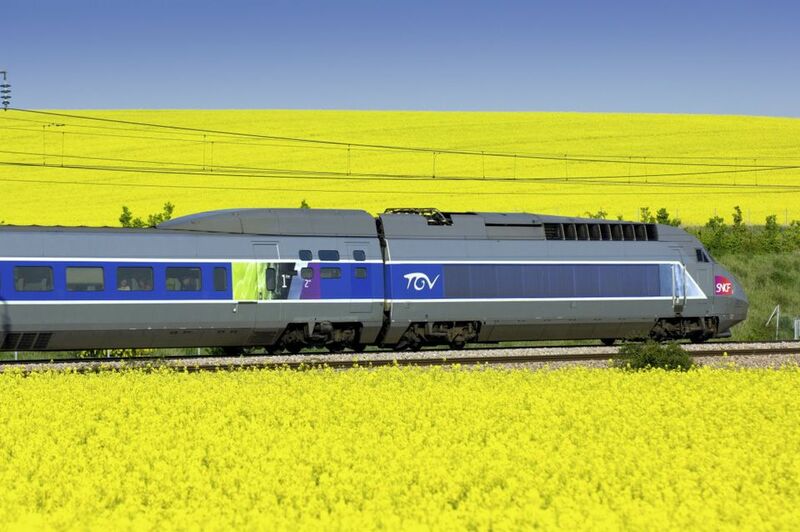 Taking the Train: High-Speed Rail or Overnight in Style? You can get to the French capital from Milan's Centrale station in roughly 7.5 hours if you take the direct train. On the French side, you'll be on the high-speed TGV rails, which will significantly speed the journey from that point onward. For a slower but potentially more romantic trip (at least in the old sense of the word), overnight trains on the Artesia night line will take significantly longer, but are another viable option. Just make sure you'll be able to handle a whole night in one of their rickety sleepers, and won't wake up groggy and unrested as some of us do. Women should also be aware that these are often co-ed, which can make for some potentially uncomfortable situations. Private sleepers are much more expensive, but may be worth it if you're concerned about sharing sleepers with strange men. It can take eight to nine hours or more to get to Paris by car, but it can be an enjoyable way to see northern Italy and France. Remember, it's not much greater than the distance between Los Angeles and San Francisco! However, there's one big difference: you should expect to pay toll fees at several points throughout the trip between Italy and France. You'll need to budget accordingly-- and accept the fact that there are no "free" roads on this route. If you're arriving in Paris by plane, you'll need to figure out how to get to the center of the city from the airports. Read more in our complete guide to ground transport options. Also see our complete guide to the airports of Paris for even more in-depth information on arriving in the French capital and choosing the best way to get to the center.